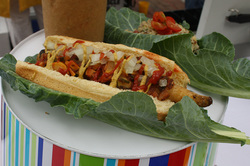 Central Florida Earth Day will showcase the very best in eco-friendly, vegan food! For a listing of local vegan, vegetarian, and vegetarian-friendly restaurants, go to the Vegetarians of Central Florida Veg Dining Guide. All food served at Earth Day is vegan (containing no animal products). Much of the food is organic and/or local. There are plenty of raw options. 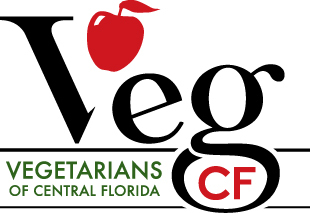 Water at Earth Day is provided exclusively by Earth Sponsor Vegetarians of Central Florida. There will be four water stations placed strategically throughout the park. You can bring your own container, take a small paper cup, or buy a reusable water bottle. The water itself is free! For information on why the event is vegan, please go to the Why Vegan? page.